L’Ecuyer du Moulin Rouge (Haut-Médoc) is the estate’s second wine. Production amounts to approximately 15,000 bottles a year. This very charming, easy-to-drink wine is eminently enjoyable. 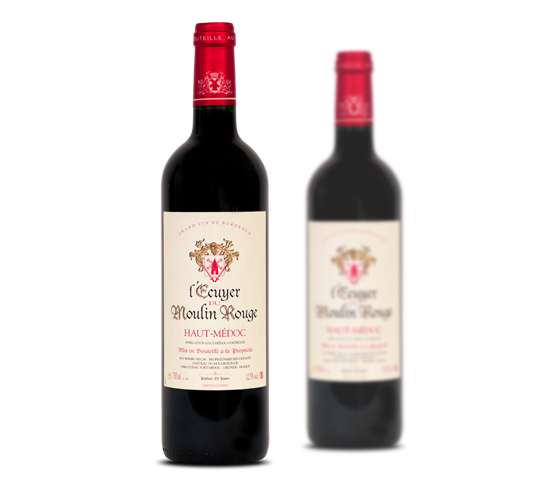 It has a lovely ruby-red colour and is tremendously round and smooth on the palate. It is very popular thanks to fruity flavours and silky tannin. Haut-Médoc: Located on the highest point in the commune of Cussac Fort Médoc and overlooking the Gironde Estuary, this small vineyard belongs to Lucie Secret. 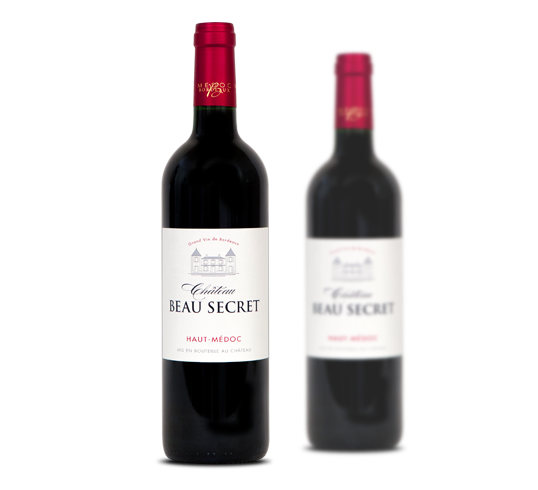 When she acquired it, she decided to name it Château Beau Secret. Average annual production is 12-15,000 bottles. The 2016 vintage has obtained vegan certification..
Château Beau Secret has a beautiful deep colour. The nose is open, fruity, and delicately oaky. The wine starts out quite fresh on the palate, going on to reveal delicious flavours and a beautiful long aftertaste. Bordeaux Supérieur: The 2-hectare Château Moulin de Bayron vineyard is situated on the river bank and takes advantage of its location. The vines consist of 40% Merlot and 60% Cabernet Sauvignon. Château Moulin is an easy-going, fruity wine with round, silky tannin.